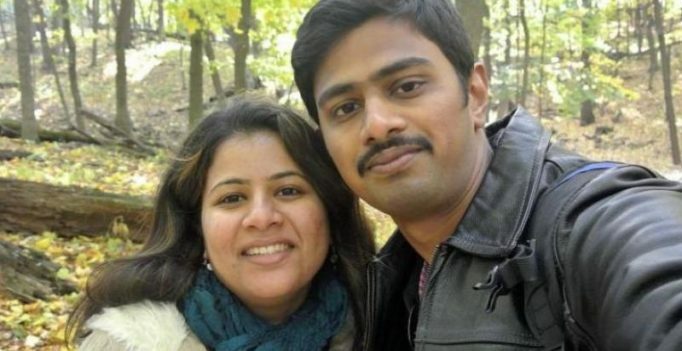 New Delhi/ New York: A US Navy veteran was on Tuesday awarded three consecutive life sentences on federal hate crime charges for killing Indian engineer Srinivas Kuchibhotla and wounding two others at a suburban Kansas City bar in 2017. Adam Purinton of Olathe shot and killed 32-year-old Srinivas Kuchibhotla, and wounded two others – Indian national Alok Madasani and Kansas resident Ian Grillot – at Austins Bar & Grill in Olathe, Kansas, in February 2017. Earlier in 2018, he pleaded guilty in federal court to hate crime and firearm offenses arising out of the shooting. The sentences handed down in federal court today will run consecutively to another life sentence 53-year-old Purinton previously received for first-degree murder in Johnson County District Court. None of his victims were in court today. “The crimes at issue in this case are detestable,” Attorney General Jeff Sessions said in a statement. In a statement, Kuchibhotla’s widow said that her husband was always “respectful to others” and would have helped Purinton understand that not every brown skinned person is evil but is contributing to America’s growth. “My husband was more than what you chose to address him as. Always kind, caring, and respectful to others. Srinu and I came to the US of America full of dreams and aspirations…Now, my American Dream – and that of Srinu’s – is broken,” Sunayana Dumala said in the statement read out in court today as Purinton was sentenced, calling her husband by his informal name. “…(U)se the time that is being given to you to educate yourself and inform others who are still out in the open and stop them from killing innocent people as you did – choosing violence over kindness,” she added. On February 22, 2017, Purinton drove to Austins Bar & Grill and sat by himself at a table on the enclosed front patio. Sitting at the table to his left were Ian Grillot and several other patrons as well as Kuchibhotla and Madasani. He approached Kuchibhotla and Madasani, and demanded to know where they were from and how they entered the country. Grillot and another patron interceded, told Purinton that he needed to leave, and escorted him out of the bar. Purinton drove home and retrieved a semi-automatic pistol and to disguise his identity, changed into a different shirt and grabbed a blue-and-white scarf. Later, he returned to the bar. He walked over to the enclosed front patio, opened the door, aimed his semi-automatic pistol at Kuchibhotla and Madasani, and fired eight rounds-at least four of which struck Kuchibhotla, who died from his injuries, and one of which struck Madasani, who was injured, but survived. Hours after the shooting, Purinton stated over the phone to a friend, and later in person to a bartender, that he had just killed some Iranians. Purinton admitted that he shot Kuchibhotla and Madasani, attempting to kill both men, because of their race, colour, religion, and national origin. After shooting Kuchibhotla and Madasani, Purinton ran out, and Grillot chased after him. As Grillot caught up to him, Purinton turned around and shot Grillot, who was also injured but survived.